In order to begin using the Skills/Levels feature in the Staff Portal, your staff must have a Staff Portal Login ID or a Jackrabbit User ID that has been matched to their Staff record. See Guided Staff Portal Setup. Once logged into the Staff Portal (Launch the Staff Portal), the Manage Classes tab is where skills/levels progress tracking starts. Which classes are available to your staff when they are logged into the Staff Portal is determined by the settings in the Manage Classes Tab section of the Portal Settings tab in their individual Staff record. For an explanation of these settings refer to Skills/Levels Settings: Staff Settings. 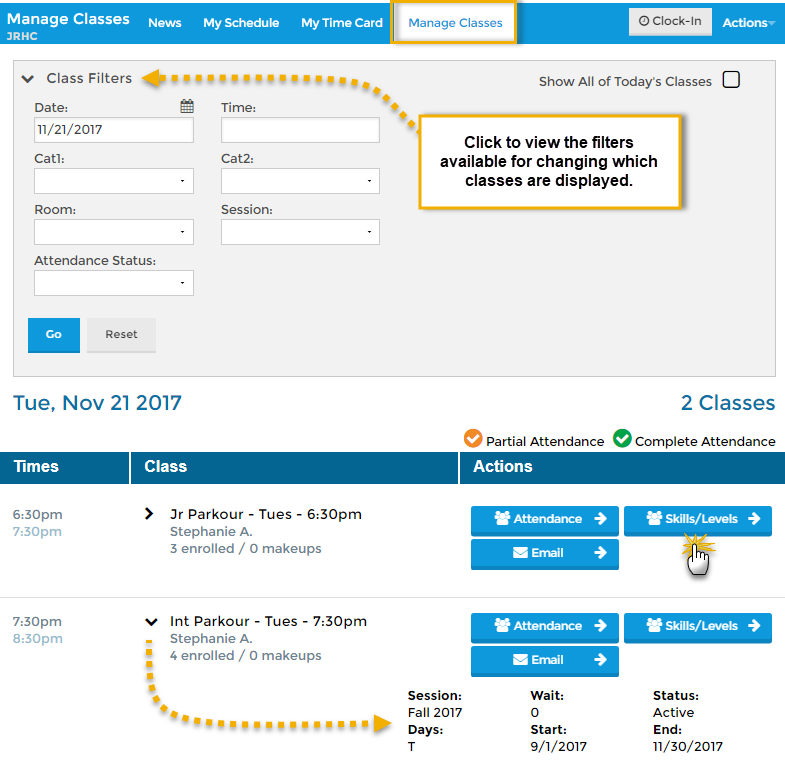 There are several Class Filters available allowing staff to drill down to specific classes including: Date, Time, Cat1, Session, Room, and Attendance Status (Completed or Not Completed). Use the arrow to display these options. If the What classes should this staff person see? 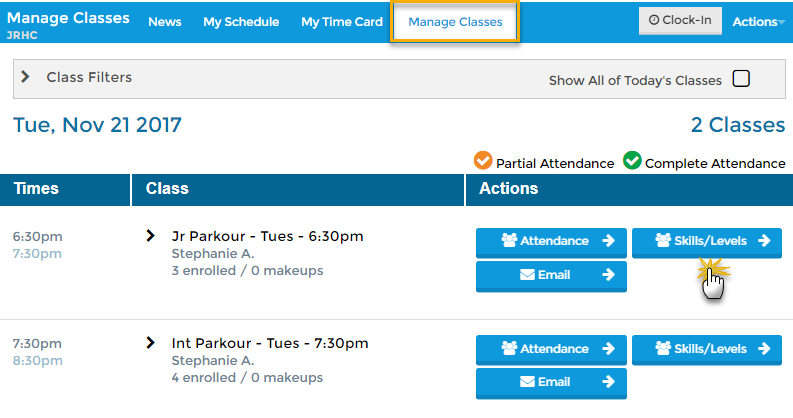 is set to Their Classes with option to Show All of Today's Classes (Staff record > Portal Settings tab) a Show All of Today's Classes checkbox will display. 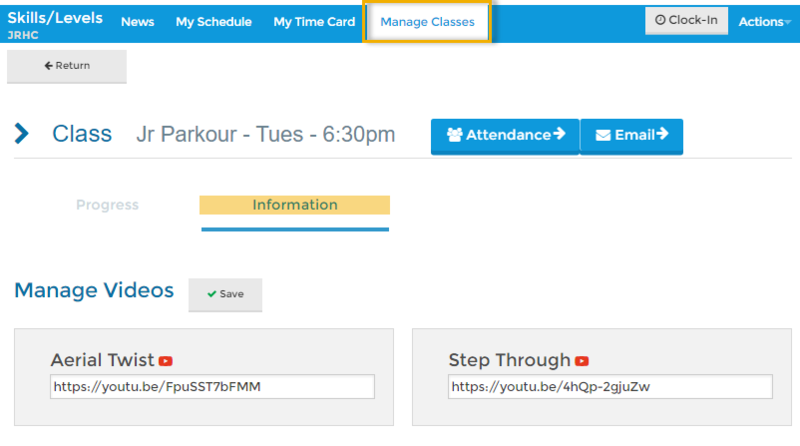 Additional class information is available by clicking the arrow next to the class name. 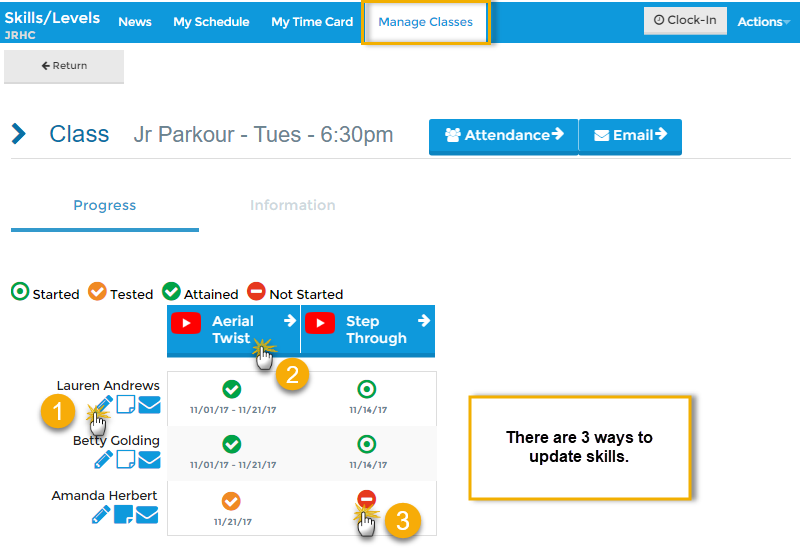 Click the Skills/Levels button on the main Manage Classes screen to move to the Skills/Levels Progress screen showing a list of enrolled students and their current skills/levels status. From the Skills/Levels Progress screen there are 3 ways that the staff person can update skills/levels. 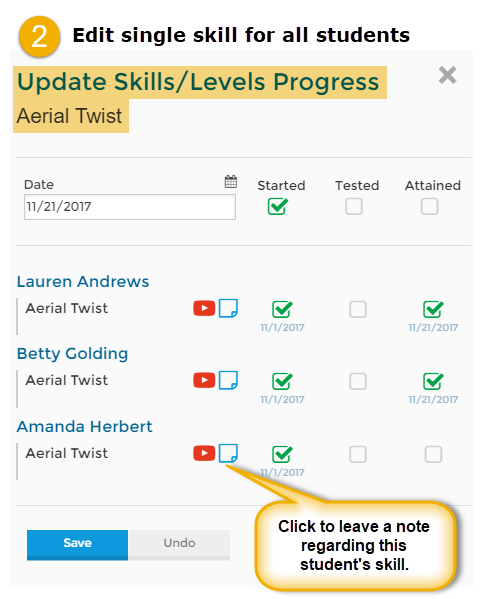 Click the pencil icon under the student's name to update all class skills/levels (and subskills) for only that student. 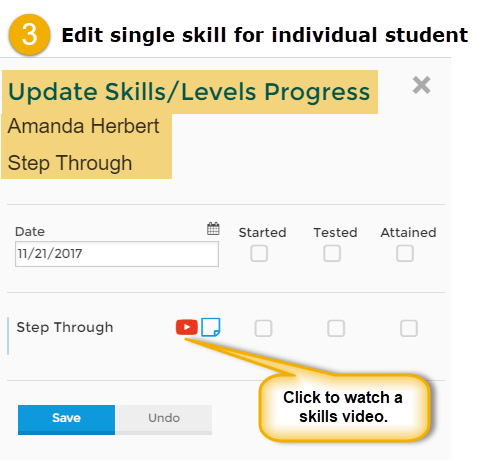 Click the skill/level name to update only that skill/level (and subskills) for all students. 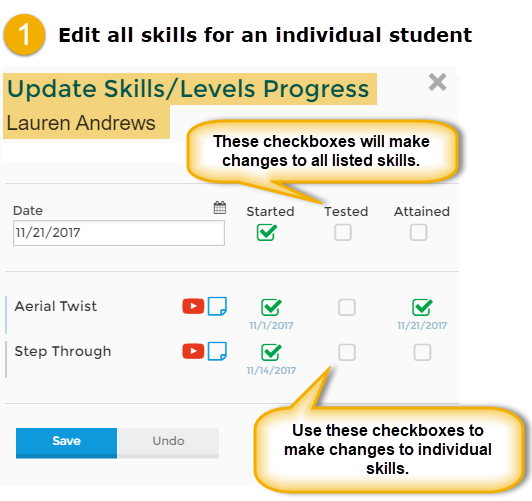 Click a skill/level status icon for a particular student to update only that skill/level for that student. Skills/levels videos can be added to your main skills/levels (and subskills) from this page.